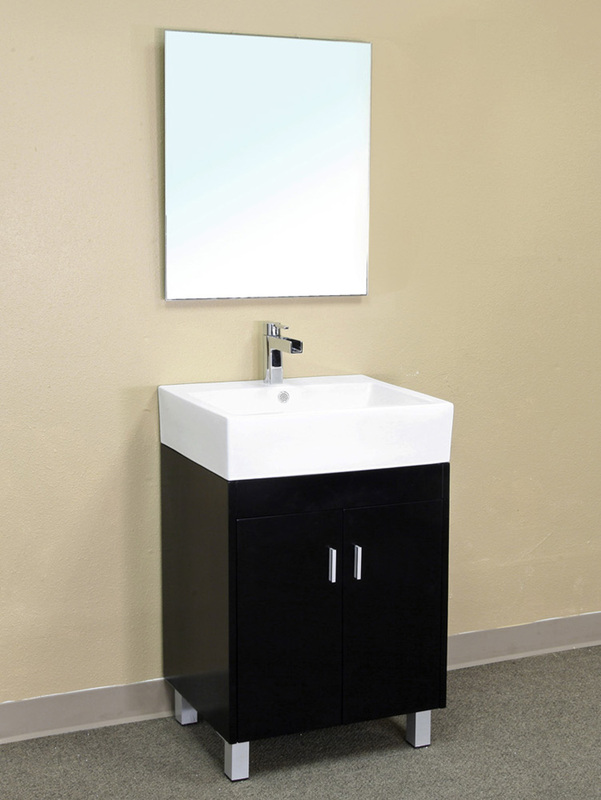 The Palencia Modern Vanity is simple and simply stylish with its clean modern design, making it a great addition to any contemporary bathroom. 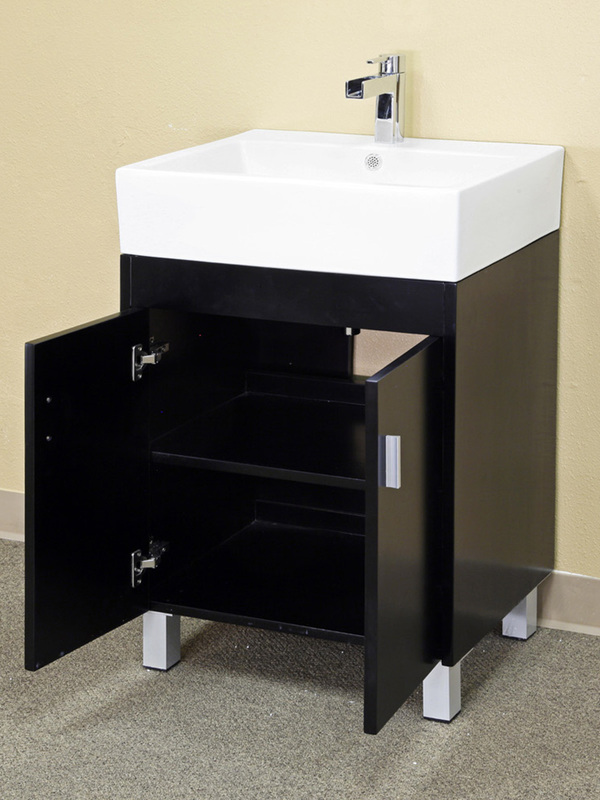 This single vanity features a white ceramic sink that beautifully contrasts the dark espresso finish and complements the nickel finished hardware. 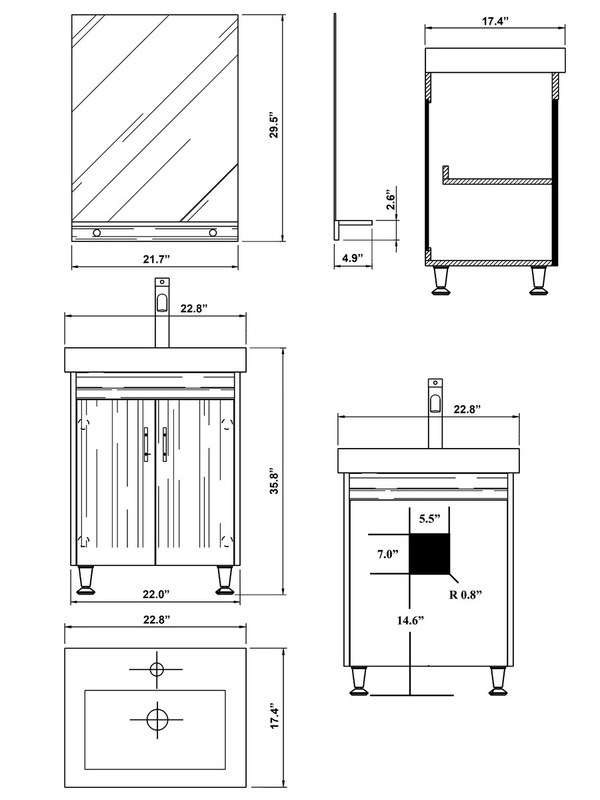 A double door cabinet conveniently provides storage for your bathroom supplies, with soft closing hinges for superior motion control. 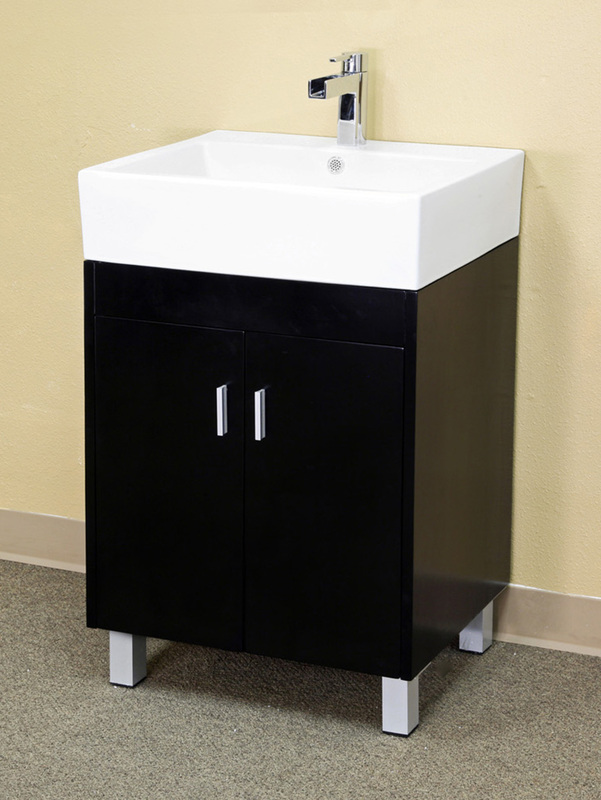 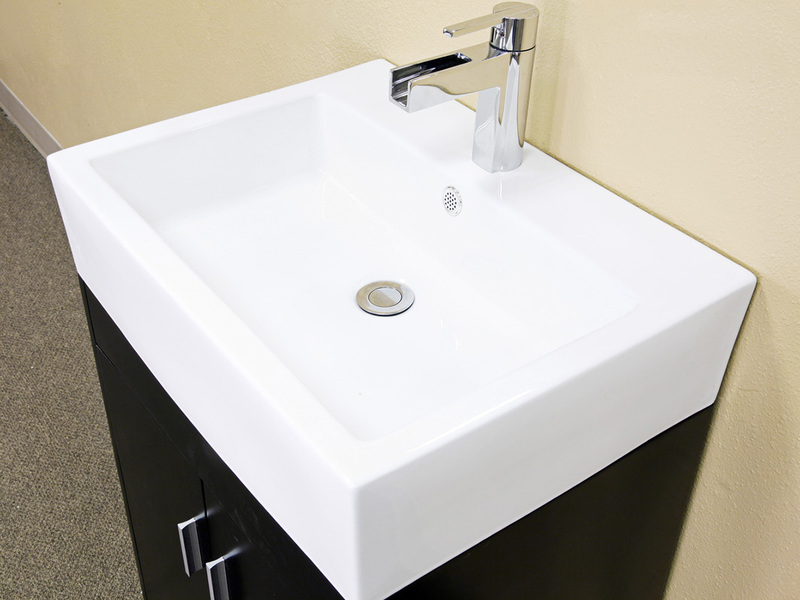 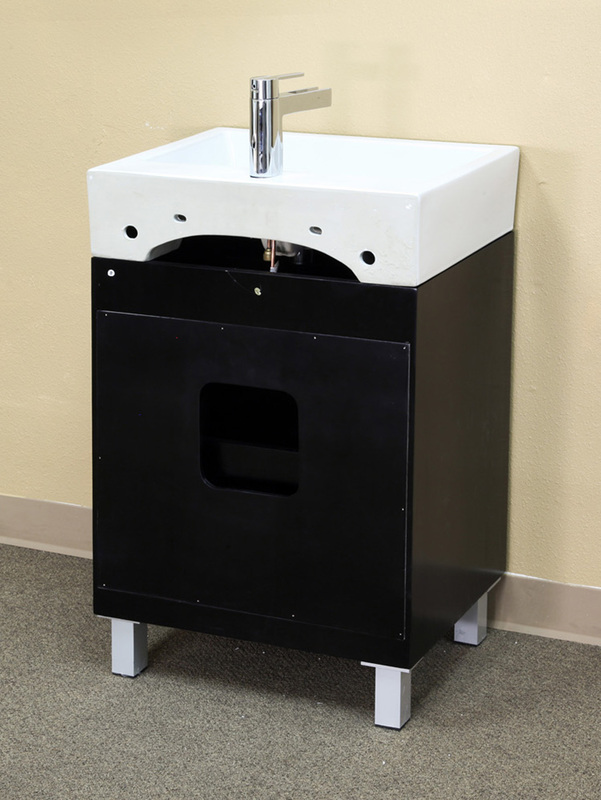 The vanity is constructed from solid birch wood and its finish is water proof, protecting it against humidity. 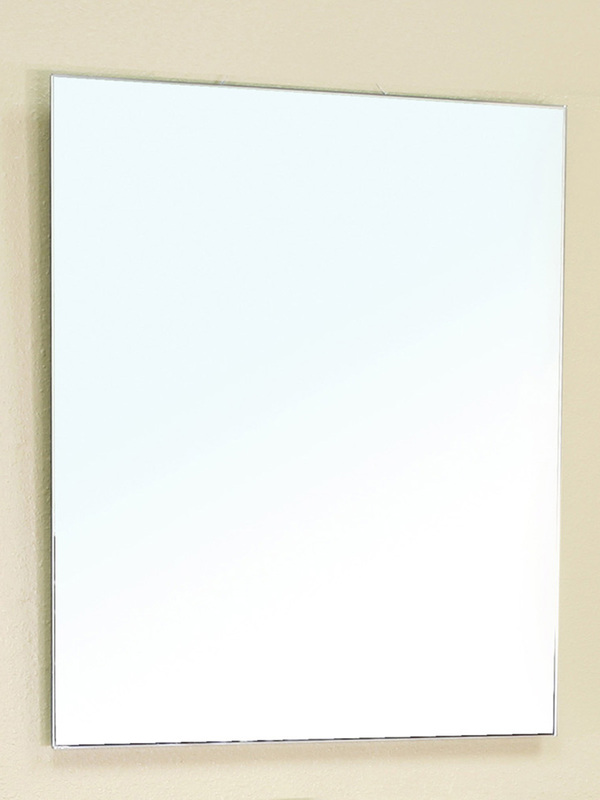 A properly sized mirror is available as an addition to vanity through the drop down menu as well.